Thorsten Dennerline, a printmaker-artist, creates works in various media including drawing, printmaking, editioned books, and ceramics. He has worked on numerous collaborative projects with writers and poets. His work is narrative and deals with the interaction of text and image. He has exhibited work in Copenhagen, Denmark as well as the U.S. He received his MFA in printmaking and drawing from Syracuse University and his BFA from the University of Massachusetts at Amherst. Click here to get to Bird Press on the web. View her website at http://www.liberinto.com. Maria G. Pisano is the director of MGP Studio Arts and publishes artists books and prints under the Memory Press imprint. Her works are in numerous private and public collections, including the Library of Congress, the New York Public Library, the American Art Museum and National Portrait Gallery, Stanford University, the University of Delaware and many more. Her book, Vita Defuncta, is part of the GBW 100th anniversary exhibit. She has published articles in the book arts publications Tabaellae Ansatae and Dog Eared Magazine. Her work is featured in Making Memory Books by Hand by Kristina Feliciano. Over the years she has been continually involved in curating exhibits, such as "The Elements: Creative Energy" at the Hunterdon Museum of Art, in Clinton, NJ. In 2006 she presented a paper at the Constructions of Death, Mourning, and Memory Conference. This will be followed in 2007 with an exhibit of the book works, at the University of Wisconsin-Milwaukee. Ms. Pisano can be reached at MGPstudio@AOL.COM. 23 Sandy Gallery: 23 Sandy Gallery is a fine art gallery located just east of downtown, in Portland, Oregon’s central east side arts district. We present local and national artists working in contemporary book arts, painting, photography and printmaking. The gallery also serves as a community gathering space with lectures, workshops, salons, readings and more. The Amazing Race: Book art by Martha Edgerton. In the form of traditional and contemporary bookmaking, boxmaking, and paper crafting, The "Amazing Race" exhibition is designed to chronicle certain aspects of the transatlantic slave trade experience from its beginnings in Africa to its early years in the Americas. The exhibit begins with objects illustrating everyday African life before capture. Then in progression, it portrays other major components of slavery. Arbeitskreis für die Erfassung und Erschließung Historischer Bucheinbände (AEB) / Association for the Recording and Reconstruction of Historical Bookbindings: Very nice "gallery" of historic bindings. The Art of the Book: Rare Printed Books from the University of Liverpool Library. J.S. Bach's The Art of Fugue by Elizabeth Harrington. Part of the Colphon Page. The Art of Illustration: A celebration of contemporary Canadian children's book. This MUST SEE exhibit was shown in Madrid in Fall of last year and includes the work of ROSE ADLER, PAUL BONET, EMILIO BRUGALLA, GERMAINE DE COSTER/HELENE DUMAS, PAUL CRETTE, HENRI CREUZEVAULT, MADELEINE GRAS, RENE KIEFFER, PIERRE-EMILE LEGRAIN, PIERRE-LUCIEN MARTIN, HENRI MERCHER & THERESE MONCEY. Simply Amazing. Bogbind: Danish design binding. In Danish. Books About Books: The 2006 exhibition of Chicago Hand Bookbinders. Book Arts 2001: A student odyssey. Celebrating bookworks inspired by teachers + classes at the San Francisco Center for the Book. Book Works and Wearable Texts: artist books by Miriam Schaer. Bookish Girl: Images of book work by Colleen Mullins. Nice images but site is not intuitive. Bound to Please: an Exhibition of Fine Leather Bindings from the University of Miami Library is a selection of 70 volumes from the extensive rare book holdings of the Library's Special Collections Department. The catalog describes and illustrates a diverse and exquisite group of leather bindings dating from the fifteenth through the early twentieth century and includes books from the United States, Cuba, Spain, France, Germany, Italy, and The Netherlands. Ellie Brown: The Self-Titled Book series plays with the idea of a book and how one looks at it and receives information. To view the books click on "projects" and then "books." Work of Inge Bruggeman: Images of her work from the gallery at the University of Idaho book arts site. CALLIG Book Swap: Begun in 1997, this book swap is now in its second year. It was proposed amongst members of the CALLIG list serve, a forum dedicated to the discussion of calligraphy. Seventeen people responded, and the results, which were overwhelming, are displayed on these web pages. Millennium in a Box: Featuring the work of thirty-five artists from across Canada Each artist has produced a conceptual interpretation of where the next millennium may lead, whether technically, societally, in terms of personal development, where the book arts may go, or in any other way that challenges them. Canadian Women Artists' Books: An exhibit of the University of Alberta. Book Arts in the USA: In this exhibit you will see how 51 contemporary Americans are changing the form and materials of the book to suit their personal vision. We call this work Book Art. The exhibit was curated by Richard Minsky at CBA in 1990. Center for Fine Print Research - Exhibitions: UK based group committed to bringing contemporary print to a wide audience through arranging exhibitions, loaning artworks and the building up of print archives. Central New York Book Arts: Traditional to Innovative: 2001 exhibition of book works by Central New York based book artists. The Exhibition was held at the Schweinfurth Memorial Art Center in Auburn, NY. Color Printing in the Nineteenth Century: An exhibition of the Department of Special Collections, The University of Delaware. The Colophon Page: an incredible online gallery which has book arts exhibits and sells works on commission. Book artists are welcome to apply. Contemporary Book Artists/Publishers the Colophon Gallery Includes Sara Garden Armstrong, New York; Charlene Matthews, Los Angeles; Richard Minsky, New York; Lise Poirier, New York; Shirley Sharoff, Paris; Michael Woolworth Publications, Paris; Editions Ruth Zilkha, Paris. Beatrice Coron's Papercutting & Books: Beatrice makes the most delightful artists books employing paper cutting. From the Colophon Page. John Depol: creator of wood-engraved images of great beauty and serenity, principally for limited edition, hand-printed books. Helen Warren DeGolyer Triennial Exhibition and Award for American Bookbinding presented by the Bridwell Library of Southern Methodist University in Dallas. The only fine binding competition in the United States. Dhalgren Gallery: Gallery of contemporary art with exhibition of artist's books. 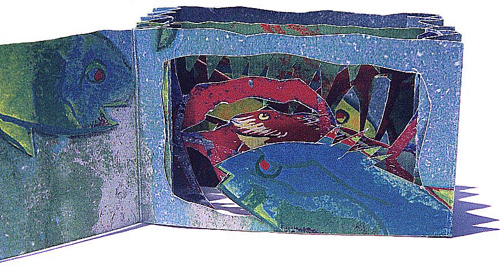 Donna Seager Gallery: The Art of the Book, Sixth Annual Exhibition of Handmade Books, Altered Books and Book Related Works. Odette Drapeau: A past president of ARA Canada and a founding member of AirNeuf and directs her studio/gallery La Tranchefile. Her unique use of fish skin as a binding material is both beautiful and compelling. The Fine Art of British Bookbinding: An exhibition of the Lilly Library, Indiana University, featuring the work of William Matthews, Gemma O'Connor, John Plummer, Angela James, Arthur Johnson, Edgar Mansfield, and Roger Powell. Joan Flasch Artists' Book Collection: At the School of the Art Institute, Chicago. Jaffe Atrium Book Arts Gallery at Florida Atlantic University: Exhibitions include Stand and Deliver: Engineering Sculpture into a Book Format and Letterpress 101: Elemental Printing. Franklin Furnace Archive: Avant garde book arts. Graphic Artist's Gallery: Features printmaking work of Moore College of Art and Design, Philadelphia, students. Gabriel, the information service for the National Libraries of Europe. Features online exhibit Treasures from Europe's National Libraries. Hand Bookbinders of California, 31st Members' Exhibition: Held Nov. 4th through Dec. 27th, 2003, at Tom Goldwasser Rare Books in San Francisco, CA. Hand Bookbindings – Plain and Simple to Grand and Glorious: An exhibition at Princeton University’s Firestone Library. Paul Heimbach - Bilder, Bücher, magische Quadrate: Book artist working in Cologne, Germany. Charles Hobson, Lighthouse Legends and Shipwreck Stories: paintings in a book format. Judith Hoffman: Metalwork and artist's books. Shireen Holman: Printmaker and book artist. A Humument Hope Page: A Tom Phillips Site. The Illustrated Book: A Survey of Genres: By Richard Minsky. "Lady Freedom Among Us", a poem by Rita Dove, bound by Claire Van Vliet. Kate Kern: Visual artist working in books. Monique Lallier Design Bookbindings: Design / Fine-binder practicing in Greensboro, NC. Monique creates unique works of the highest level of craftsmanship and design. She is traditionally trained in Canada, Switzerland, and France, and her work is a part of collections worldwide. Site as beautiful examples of her work. Mia Leijonstedt: Finnish born design binder now working in the UK. Includes examples of her design bindings, artist's books, and courses taught. Library and Archival Exhibitions on the Web: Meta site with links to numerous book arts, library and archival exhibitions online. Janet Maher Selected Bookworks and Collaborative Projects: An Online Exhibition. Charlene Matthews: Virus 1996, an artists book exhibited with l'ARA in France, 1996. MCBA Prize: Sponsored by the Minnesota Center for Book Arts, this is the first competition in the US to recognize book art from across the field and around the world, celebrating the incredible diversity of this vital artform. Melville Press and its publication Cetus the Whale. Mission Creek Press: Roberta Lavadour's artist's books. 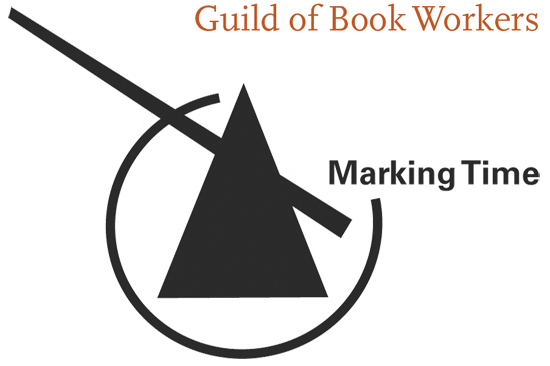 New Jersey Bookarts: Education and the Book Arts in New Jersey, Or, Preaching What We Practice. An exhibition of the John Cotton Dana Library, Rutgers University. Contains examples of work by Maria Pisano, Kathleen McShane, Philip Grushkin, Debra Weier, Barbara Henry, John DePol, Barbara Mauriello, Denise Carbone, Benita Wolffe, Suellen Glaushausser, and Iris Nevins. Pierre Ouvrard Virtual Exhibit and Collection: This website is based on the Pierre Ouvrard Collection held at the Bruce Peel Special Collections Library, University of Alberta. 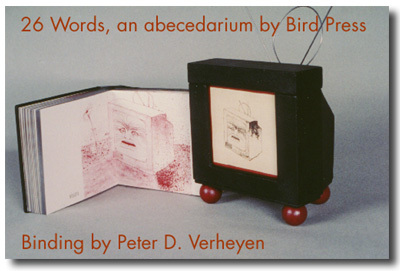 The website showcases the work of the master bookbinder, Pierre Ouvrard. Pierre Ouvrard has designed bindings for the artistic works of many Canadian artists and writers. The collection itself has over two hundred items. This site, through the inclusion of the bindings M. Ouvrard designed for the Governor General's Awards, contains over three hundred examples of M. Ouvrard's work. Paper, Leather, Clay, Stone: The written word materialized, and exhibit of the Cornell University Library Department of Special Collections and Ithaca High School. Personal Visions: Artists' Books at the Millennium. An exhibition of the Special Collections Department, University of Delaware Library. The POP-UP World of Ann Montanaro: An Exhibit at Rutgers University. Science Defined by the Hands of a Book Artist: By Sally Scott Maran and published in Smithsonian Magazine. Script Manent III: Script Manent III (writing remains) an exhibition with the concurrent conference organized by the Estonian Association of Designer Bookbinders continues the tradition of international exhibitions of artistic bookbinding in Estonia. Philip Smith and the Evolution of the Bookbinding. Jan & Jarmila Sobotas' Book Arts Studio: Examples of the wonderful art of bookbinding by these Czech master. South African Artists' Books: Recent research done on the South African Artist’s Book and includes sections from David Paton's dissertation titled South African Artists’ Books and Book-Objects Since 1960 and more recent essays; a catalogue and navigable layout of the 1st South African exhibition of Artists’ Books – Artists’ Books From the Ginsberg Collection – held at the Johannesburg Art Gallery in 1996. Smithsonian Libraries Artists' Books: Click to see all of the Artists' Books in the Smithsonian Collections Search Center. There, you can get more details and filter on topic, name, language and more. Society of Bookbinders' Competition: Online exhibit of the winners since 2007. This is a biennial event. Syracuse University Book Arts: An Exhibition of Student Work: These exhibitions features work by students in three different Syracuse University classes: First year foundation students and advanced printmaking / book arts students from the School of Art and Design at the College of Visual and Performing Arts, and students in the Humanistic Studies Program's "basic bookbinding" class. Also featured are the works of several graduates, often in collaborative efforts. The Book As Art: Building a foundation. 1996. Tempations of the Frijolera Pot/Tentaciones de la Frijolera: Written and hand-bound by Alex Appella illustrated by Silvana de Gonzalez Writings from having traveled overland from Juneau, Alaska to San Jose, Costa Rica. 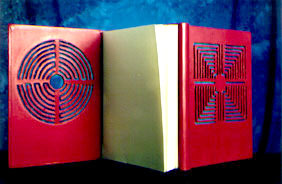 240 numbered editions hand-bound by the author. Veronika Anita Teuber: A painter who also makes sculptures of books, all of which she has read. SheI seals the books in beeswax then paintsand draws on the wax, adding more layers of both imagery and wax. Currently, she has a library of about two hundred wax books, with the goal to continually expand that library. Treyf: Online Projects and Bookworks. The Great Menagerie: The Wonderful World of Pop-Up and Movable Books, 1811-1996: An exhibit of the University of North Texas Library. Unseen Hands - Women Printers, Binders, and Book Designers: An exhibition of the Department of Rare Books and Special Collections at Princeton University. Women of the Book: Jewish Artists, Jewish Themes: An exhibition of 89 women artists who have created bookworks of unusual beauty and significance. Curated by Judith Hoffberg. You Can Judge a Book by its Cover, 33 Miniature Bindings: This exhibition celebrates the variety and beauty of the art of book binding with 33 different interpretations of the same book by a group of distinguished and talented book binders. Mel Kavin, a publisher and collector with a keen interest in bookbinding, commissioned designer binder and author, Bernard Middleton, to write the text of You Can Judge a Book By Its Cover, with the goal to produce a miniature book.